How do you write a book about a city of 20 million people? If you're Rob Schmitz, you start with just one street. Schmitz's book "Street of Eternal Happiness," profiles the lives of his neighbors on a single busy street in Shanghai. Schmitz works in China as a correspondent for Marketplace. He joined MPR News guest host Bob Collins to talk about his book, and the social and economic realities of modern day China. "I wanted to capture what's really an interesting time right now in China," Schmitz said. "It's a time of very big dreams. For about 20 years, China's economy grew at such a great pace, everyone's dreams aligned. The government, as well as the people, their big dream was to make money. It was a poor country and everyone was on the same page: We need to make money. "Now, a lot of money has been made. The are some people who are still left behind. But for the most part in Shanghai, a lot of folks who have made money, they're looking beyond: They're looking beyond for bigger dreams, other dreams." In the book, Schmitz tells stories of Chinese citizens and their conflicts with the government. "China's economic system have moved ahead. Political changes have not," Schmitz said. "That paradox, and how it operates, and how people handle that paradox is really interesting to me, and that's the backdrop of this book." 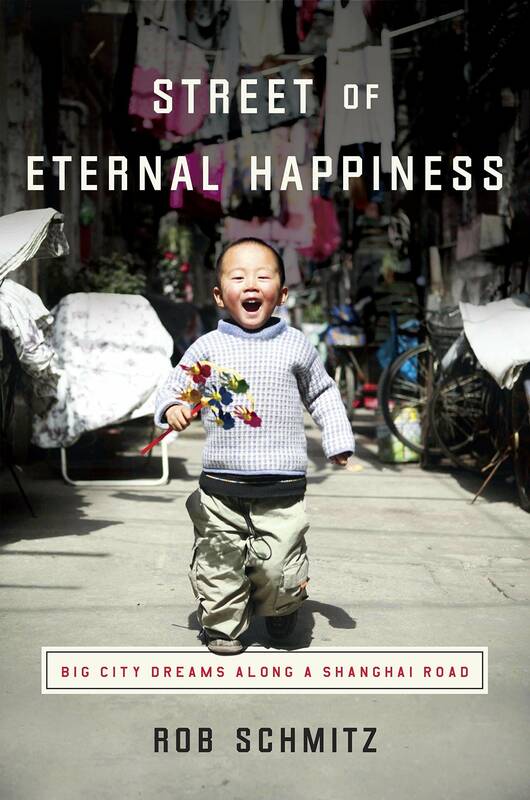 For the full discussion with Rob Schmitz on "Street of Eternal Happiness," use the audio player above.